Abstract: Silicon nanowires can improve the optical properties of silicon solar cells, but commonly-held concerns about the effects of nanostructuring on device performance have limited their adoption. Here we present experimental results of our design and processing innovations applied to silicon-nanowire solar cells that confirm the excellent anti-reflection and absorption benefits, demonstrate high minority carrier lifetime and efficiencies >18%. Nanowires enhance the efficiency of crystalline silicon solar cells by reducing reflection over a broad range of incident wavelengths and angles: measured reflection is less than 1% for a weighted average over the solar spectrum. Furthermore, the nanowires increase the optical path length within the device, allowing the absorption of the silicon to approach the Lambertian limit for light trapping. This increased absorption improves efficiency for standard thickness cells (mainly in the infrared), as well as significantly increasing the amount of light absorbed in thin crystalline silicon cells. Our nanowire fabrication process is independent of crystallographic orientation and overall is especially well-suited for multicrystalline and thin crystalline silicon cells. Our nanowire solar cells are fabricated with a low-cost process and we will discuss the benefits of integrating them into existing solar cell production lines and how they can potentially increase the efficiency by 1% or more absolute and reduce costs by $0.05 – 0.10/Wp. We will also present how our nanowires enable several manufacturing improvements such as thin wafers, N-type wafers, passivated back contacts and plated front metal contacts to enable further cost and performance advantages with crystalline silicon wafers. Biography: Marcie Black is the co- founder and CTO of Bandgap Engineering. Bandgap Engineering is an early stage start-up seeking to commercialize high efficiency silicon solar cells. Dr. Black has dedicated her career to making renewable energy more cost effective. She has more than twenty years of technical experience in the semiconductor, opto-electronic, and solar energy industries. Before joining Bandgap Engineering, Marcie was a technical staff member at the Applied Electromagnetics Group at Los Alamos National Laboratory and worked on a variety of nanotechnology initiatives, optical systems, and photovoltaic projects. Prior to her PhD work at MIT, she was a device engineer at Motorola. In 2009, she was awarded an R&D 100 award for her contributions to work at LANL. In March 2010, Marcie was honored as one of the ten "Women to Watch in 2010" by Mass High Tech. 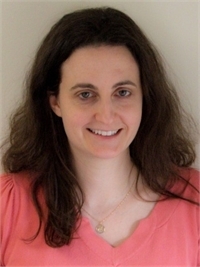 She earned her PhD on the optical properties of bismuth nanowires in 2003 and her Masters of Engineering in 1995 on polysilicon optical waveguides, both from MIT’s Electrical Engineering department. Dr. Black has worked on thin film silicon, organic, quantum dot, and several other solar cell technologies and is the inventor of the Bandgap Activation approach applied to photovoltaics. She has published over 30 articles in peer- reviewed journals and 4 book sections, has had 8 patents issue with many more patents pending.